Ensure your ROI by minimizing network disruption. Downtime caused by a virus, security breach, inadequate routine maintenance or a technical failure could hinder your environment or lead to severe downtime. 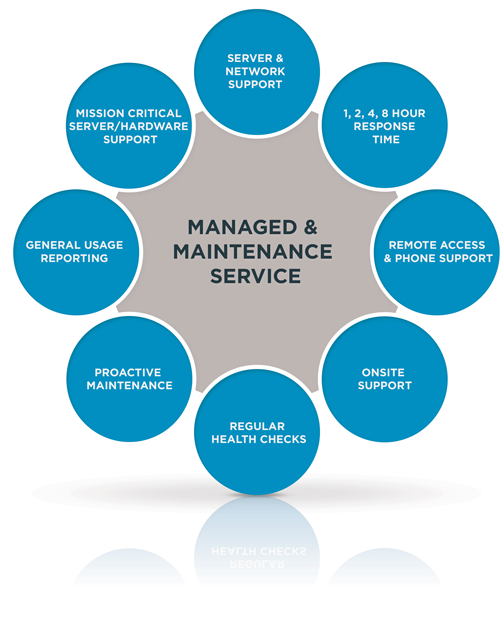 With more than 30 years of service, Lanworks has developed customizable maintenance services for our clients that are designed based on your specific IT requirements, budget, and business model. Enjoy fast and reliable maintenance service options from our team of IT experts, and stay on-budget without compromising performance.